Yes it’s happened to me that my Surface Pro won’t turn on, but I know what to do now and I can help you too. 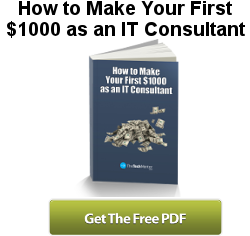 I have several tips that others won’t think about unless they have genuine experience with this issue. I am sure of a high success rate because it has happened to me once and to my wife’s Surface Pro on for I’d say more than three separate occasions. So we’ve encountered it quite a few times. Note: If your problem is your Surface is frozen and won’t shutdown click here for that fix. Due to the nature of the problem and some research, plus through personal experience I can say for 90% or more of the time there is a straight forward cause. The first solution below should fix it. Keep reading further below if the first method doesn’t work for you. My Surface Pro won’t turn on at this point; shown with a blank screen. Yes it is a worry when it still looks like this after pressing the power button. Some aspects may also be relevant if you have a Surface Laptop or Surface studio, but my experience is mainly based on when my wife’s or my Surface Pro won’t turn on, and then further research from there. I assure you the first thing to do is ASSUME the battery is too flat to start! If your Surface Pro 3 or 4 is not plugged in, then plug it in. Use the original Microsoft charger and cables only, if you can. Check everything in the connections to and from the power supply. Make sure the power supply charging light is ON (at the end of the Surface charger cable or docking station). then try wiggling the cable connections at each point. As I explain further down the page (but useful and relevant here) I had a cable that had an intermittent loose connection or broken wire within the cable near the power supply adjacent the connector. TIP: I’ll cover this again in more detail in quick fix 3. Your power supply additionally has a USB charging connection. You can use this to help do this test. You should attach another device (such as a phone) that beeps when you turn on the power. This other device creates an audible signal when you remake the power. If you hear multiple beeps when you wiggle the cable at a point, then you know you have an intermittent connection. This saves you some difficulty while bending down and wiggling cables. The advantage is you do not have to contort yourself to see the light at the Surface Pro not turning on at all (or only turning on momentarily). This will help provided the cable problem is closer to the power supply than the USB in the Surface Pro charger. Leave your Surface Pro plugged in and charging for at least 5 minutes minimum. Preferably 20 minutes or more. I read online someone suggested charging it to at least 40%. However how do you know when it is charged to at least 40% when you can’t turn it on?! Nonetheless the idea is clear. You want to make sure it is well past a very low charged state. Okay do it and come back when you have done that (this page will still be here). Note: you might see a battery icon come up on the screen – that is a good sign! Do not worry if it does not though. Now press the start button again to restart your Surface Pro. If it works, you have done it and you can share this fix to your friends and colleagues with a Surface Pro! If not then read on further below for other fixes. You can easily see when a Surface Pro is running low on battery power. Look to the bottom right of screen (on the task bar). It is easy when you are using your machine, that is. To get this low while using your Surface, you will have seen a warning like the following. So with these great indications thanks to Microsoft, you would think you have a good idea about when the battery will be running low well before it runs out of charge, am I right? WRONG! Well, not that wrong most of the time. However the problem cause as described below could catch you out. 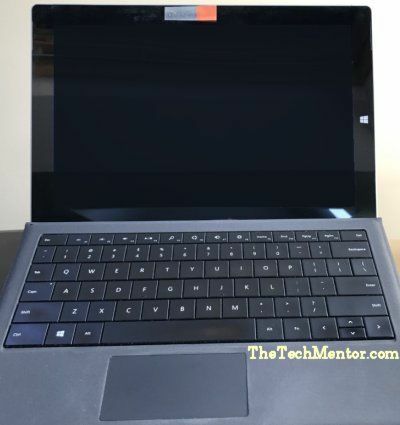 New owners of a Surface Pro 3 or Surface Pro 4 do not realize that when in sleep mode, your Surface continues to use WiFi and connect to the internet. Sleep mode is generally a very low power mode. However if your Surface Pro is still using a lot of power in sleep mode it can totally drain the battery. There are times when the Surface Pro battery can go flat while the user is not watching the screen. 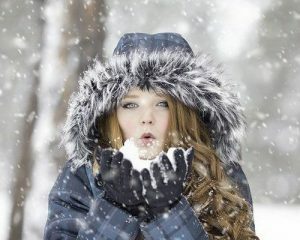 We think at first, since we have not touched it and last time we looked when there was still plenty of power indicated. Naturally we are surprised and think ‘my Surface won’t turn on’ when the start button is pressed. However, your Surface won’t turn on when the battery is dead. It can’t! Some people end up with non-Micosoft charger and/or cables. Be aware that there can be instances where these cause problems for your battery to charge properly. In this case, if you were using your Surface, you might observe it draining the battery even if plugged in. Best thing you can do is turn and refit the cables, and check you have the right Microsoft charger for your particular Surface. Quick Fix 2 – Speaking of Turning and Refitting cables! If there is a charger problem, something that will address certain Surface Pro Charger problems is to reset the charger. If you unplug the charger at the wall or power strip and flip it to the exact opposite position (turn it 180 degrees) then re-connect it (so that the pins are in the opposite place), and turn on the power again you reset the charger. I don’t know exactly why this can work (I could make an educated guess) but the fact it that it does work for some battery charger issues and is super-quick! If your battery charger problem is locked up somehow there is no way to tell except if you do this and it starts to work again! Note: You might think that your surface pro should start the instant that you connect the power, even if the battery is flat. This is not the case. I believe there is a prioritized hierarchy and there must be a minimum battery charge before anything else will function. TIP: Leave the surface charger connected for a few minutes before you make a judgement that your Surface has sufficient battery to start. Another thing to look out for as a cause when your Surface Pro won’t turn on is the battery charger cable itself. Okay, now onto some other solutions in case your Surface won’t turn on still. If your Surface won’t turn on still, the next common issue is cable connection problems. Both internal and external. I’ll explain what to do for both. My Surface Pro battery charger cable developed an intermittent bad connection, as i already mentioned in the first supporting information for the first quick fix above. This meant I had expected it to be charging when it was just wearing down the battery. You might identify this type of problem when above when you check the battery charging indicator light (see the photo above). How ever if the problem is intermittent the problem is difficult to see if the connection is working at the moment you check the charging light. You need to wiggle the cable all the connecting points and perhaps even in the main cable part, and look to see if the charger light goes off at any time. I admit it can be difficult to strain your neck to see the light while wiggling the cable joins, especially if down under a desk or over at the wall. I have is a great trick to help solve this this problem. The nice thing about it is that is makes finding an intermittent connection problem quicker! It is difficult to wiggle the cable (to find the loose wire) and watch the charging indicator light at your Surface Pro at the same time. Most Microsoft Surface Pro chargers have a USB connection in the transformer box in the charger. Plug in your smartphone or any USB device that can beep when the power is connected. For example, my iPhone beeps (when not in silent mode) when it starts charging. TIP to save money: If your cable is damaged on the supply side there is some good news. This part of your charger cable is just a version of a ‘kettle plug’. Doesn’t matter what you call it – the good thing is they are standard and used by many devices and so are very common. You can simply buy a replacement cable without the need to buy a whole new charger! If your Surface won’t turn on still, hang in there. There are more quick fixes to try below. Are you kidding me?! You tried all these things and it still won’t turn on? If this is you, please don’t worry, there is the (potential) internal wiring connection problem to fix. Now, don’t get me wrong, I use my Surface Pro all the time and it is great! However it is a thin tablet that only the manufacturer can open. In general use it seems some people have the misfortune that internal parts and connections come loose. Well, yes you can’t open it (under warranty anyhow) but there are a couple of things to do that have helped some people who have internal connection cable problems. This is the view from your Surface Pro that won’t start when you summon the courage to try the CPR method! But it does work in some cases! Take off any cover you might have over your surface pro. Face it screen down on a sturdy flat surface. You might want to remove the Type Cover for this and make sure the screen is well supported and not going to get scratched. Press lightly on the back in the center off the surface. Be gentle! Caution: There is potential to damage your device if you give it too much physical force! If you do it too lightly at first no problem, you can press a little harder as a second attempt. What you are aiming to do is give little pumps as if you are giving CPR. As indicated above try it if you dare and more gently at first. See if your Surface will turn on. If not try again a little more like you have a little patient on the operating table! Why it Works: People say this works, so my guess is there are internal cable connections that can come loose and are oriented in such a way as to be pushed together better when given a few little pushes in the middle. I’ve seen someone suggest 15 pushes, but that sounds more like real CPR before a breath! You can do this on further occasions if in the future your Surface won’t turn on again. This also aims to address poor internal connections. Caution: I know that it has worked for some people but I caution you to use this method as a last resort, as there is greater potential to do some damage with this one. Some intermittent connection problems can be managed (if not permanently fixed as one guy reported) with a temperature cycle. Things expand when they get warm and contract when they cool. Plastic and different metals expand and contract at slightly different rates. A slight connection problem that means your Surface won’t turn on might be helped with cycling the temperature. What do I mean by cycling the temperature? I assume your table it already at room temperature. This is normal and our starting point. To do a temperature cycle you take it up to a higher temperature for a little while (say a few minutes for it to even out inside) and then let it cool back down to room temperature. Alternatively you can reduce the temperature and then bring it back up to room temperature. Most Surface Pro’s have a problem with high heat generated, especially the Surface Pro 3 when used in the Surface Pro 3 docking station. The dock reduces some cooling relative to being free standing and having the stand open. So If your Surface Pro 3 won’t start it could be due to the high temperatures it gets to. Unfortunately this might mean a cooling cycle could be more likely to work than a heating cycle, but that is just a guess really. Even if your Surface Pro 4 won’t start this could be applicable. The Surface Pro 4 dock is not so much a docking station as a simple cable connection and it looks a little like a charger block. However depending on how you use it, the Surface Pro 4 and the New Surface Pro are not immune to similar problems. Caution: If you heat your Surface Pro too much you could create problems! You may know that inside a car can heat up much more than the surrounds on a mild or sunny day. This is a nice way to warm up your device without the risk of severely overheating it. Other options include turning up the heat in a small room etc. I’d prefer you avoid the oven, but if you do, make sure you let it warm up first to drive out any humidity, then cool down enough that you won’t melt any plastic, before you place it inside. No more than about 140 degrees Fahrenheit (60 degrees Celcius)! As I said above, warming expands so I figure it is more likely to cause items to push into each other than come apart as you might envisage with cooling. However it might also make some connector housings expand and therefore become more loose. If the above fixes including a heat cycle doesn’t fix loose internal connections and get your Surface Pro to start, then cooling might. Cold cycling is more tricky because as things cool, the air in and around them also cools and moisture in the air can condense onto any cool surface. This might be bad due to shorting out minute electrical components, so is risky. Dress warmly before you chill down your Surface Pro that won’t start! LOL! However as a last, last ditch effort and if you have nothing to lose, try cooling the device by putting it in a cool place. Warning: Make sure you put your device in an airtight bag with desiccant (drying agent or if you don’t have any perhaps try dry rice) for an hour or so before you place it in the cool place. I’ve read some silly stories about “how my Surface froze” and you definitely do not want to be able to tell one of those stories! Still can’t turn on Surface Pro 3 or Surface Pro 4? 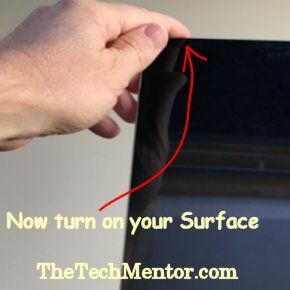 If your Surface cannot turn on still, make sure you have tried all the suggestions in this article. I can understand you will be worried, but I suggest maybe take a break and then come back so you can think clearly. Then really you can work through all the ideas and things to try as set out above. When you have rechecked, look for our next related article, which will cover more of the potential things that can go wrong and how to fix them in a longer and more detailed article. Now onto Surface Book problems of a similar nature. If you have a Microsoft Surface Book that won’t turn on, make sure you try all the above. If it still won’t turn on, disconnect and clean all the connectors. To do this use an eraser or the eraser end of a pencil, then if you have alcohol for cleaning (AKA rubbing alcohol) you can dip a cotton bud and rub it along the pins. Let it dry (this won’t take long). Reattach everything and then return to the above steps. If your Surface Book won’t turn on immediately, then give it time to be charged before testing it again. When a client’s or your Microsoft Surface won’t turn on you can suspect power problems. You can use the above brief steps as an initial test and to fix it. There are at least 5 fixes given above, and some are quick fixes you can try fast. 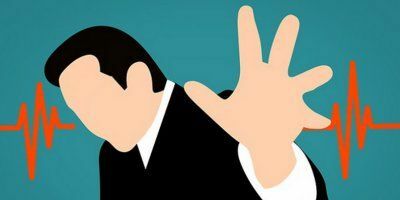 If it helps you it is important to share this article with friends and colleagues as the problem is more widespread than you realize – sharing is caring! Please let me know of any experiences or further tips you have found when yours or a client’s Surface Pro won’t turn on, in the comments below. It worked for me after charging for more than one hour. Battery must have been completely flat. Good show, thanks for sharing! Very happy to have helped Uday. Yes sometimes it is as simple as the battery being completely flat and this method helps to make sure your charger is set up correctly so your battery can be sufficiently recharged. Well done to you for having the patience for charging the battery for an hour to make it start after! Please share with your friends/colleagues! So if the battery is at 0%, the Surface wont start even when it is plugged in? This is so bad design it baffles me how this passed by any rudimentary kind of quality control. But then… why should I be surprised? Put in a USB 3 stick and the 2.4 GHz wifi gets wonky due to interference with the USB. Or hibernate you Surface in portrait tablet mode, then attach the keyboard cover and start it up again; you have to detach the keyboard cover to be able to get back to landscape mode. There’s so many bad design decisions with this device (at least my Surface Pro 3, 8/512) that every day I get exhausted dealing with it. I wish I had bought an Android tablet for a quarter of the price, instead. Yes I’m afraid that catches people out. Naturally you expect your device to be able to turn on the instant you have an external power supply connected. It doesn’t with a Surface Pro tablet though. Well, you might have found that the Surface 2 can just take quite a while to charge. If that is the case, then no problem. 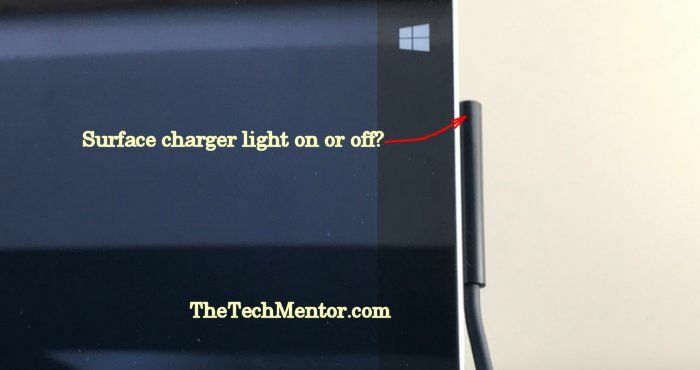 If your Surface is not charging, you can reset the charger in a surprisingly simple way. Remove the charger plug at the power source, then turn it 180 degrees (i.e. swap it around) and then plug it in again. This solves many charger problems. Your Surface 2 might then charge properly so it can start up normally. I have a strange issue after letting my Surface Pro 4 go completely dead. It is two years old and will not charge with my factory charger or my co-worker’s factory charger; (we bought at the same time). The LED doe not come on with either factory charger and my charger works on my wo-workers fine. A cheap Amazon replacement charger charges my Surface but the LED on that charger doesn’t come on when connected to mine but does when connected to my co-workers. Leads me to think there is a problem with the sensing pin(s) that I read a little about. I am not sure how it works but think if the signal on that pin isn’t there, the factory charger won’t supply power whereas the cheaper Amazon one doesn’t care. The Amazon charger will charge to 100% then stop and works fine. Why? What is going on? How do I get the factory one to work? it is a little difficult to identify what exactly is going on there. Certainly cleaning all the pins might help, but I suppose you already tried that. I’m sure you have tried unplugging and re-plugging numerous times, so likely at some point you turned the pin at the power 180 degrees which can act a reset in some cases. I would check the firmware for an update. thanks jeff- the charger having to be wiggled around to work was really weird (and disconcerting- it took about 10 minutes of wiggling). Probably gonna have to buy a backup charger. Ah yes, good. Unfortunately the surface pro charger cables do seem to suffer more than their fair share of cable wiring breaks at the connections. A not gentle round of CPR worked for me!! Thank you!